Join the Women of Vision Society and guest speaker Dr. Elena Ratner of the Yale Cancer Center for High Tea. This will be a crafternoon filled with knitting, "goodie" bag making, and so much more! 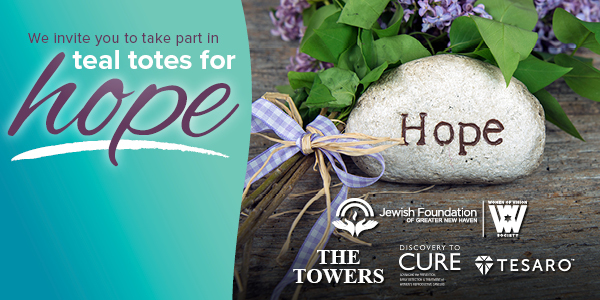 Learn about the shalws initiative and help us as we assemble Teal Totes for Hope for first time reporductive cancer patients. This event also includes a knitting demo and a raffle to win a Focus Massage at our very own Spa at the J (www.jccnh.org/spa). Bring your daughters & ganddaugthers! You may knit or crochet individually or as a team.